Puerto Vallarta is a beautiful destination on the coast of Mexico where you can laze on the beach, hike to the interior, wander through cobblestone streets, and enjoy a variety of high-end cuisine. This iconic destination also offers a wide range of accommodation. A generic online search will generate a plethora of options, but it can be difficult to focus your results. 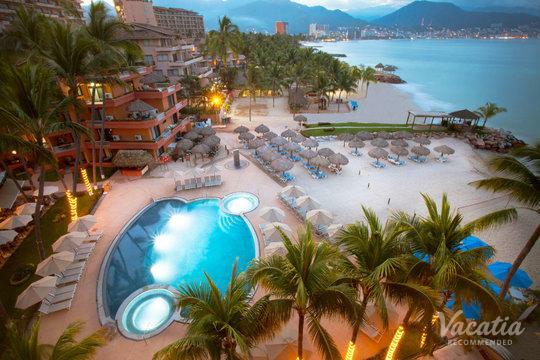 If you want to find resorts in Puerto Vallarta near the Malecon (the beautiful seaside promenade), you should work with Vacatia. 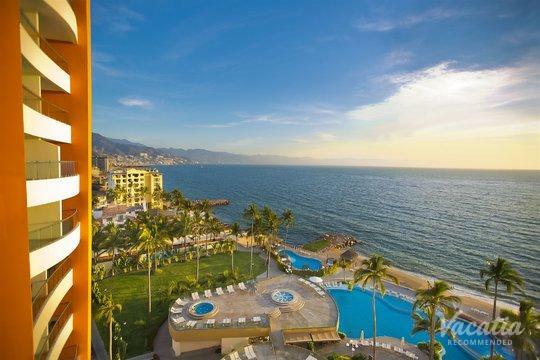 Our website is comprehensively organized and only includes highly recommended accommodation, which means that you will find the best hotels near the Malecon in Puerto Vallarta with a minimum of fuss. If you have any questions, our Guest Care team is always available via online chat. When you start looking for places to stay near the Malecon, you might be looking for a combination of things. Many vacationers want to have the benefits of a high-end resort combined with the comforts of home. It can be difficult to find lodging that strikes this perfect balance, but Vacatia offers a unique solution. With our resort residences, you will get a complete kitchen and a furnished living space, as well as luxurious services and amenities like daily housekeeping, gourmet restaurants, fun pools, planned activities, and more. Relax in your living room with a cool drink or head out for the Malecon while on-site staff handles the chores. Prepare a tasty snack or meal or indulge in delicious on-site cuisine. When you book with Vacatia, you get the best of both worlds. 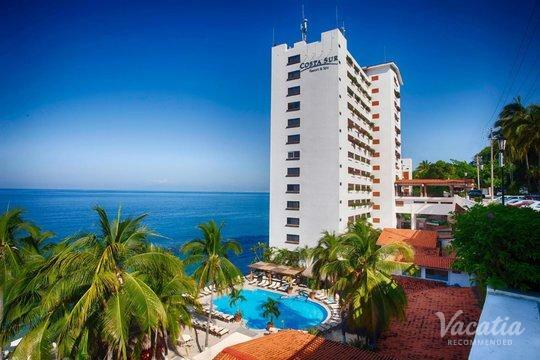 When you book one of Vacatia's resorts in Puerto Vallarta near the Malecon, you will have a great home base for exploring this charming promenade and more. This iconic attraction is a favorite of locals and tourists alike at any time of day or night. 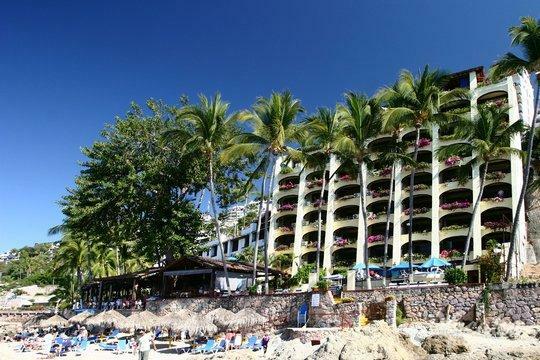 It stretches from Los Muertos Beach near the River Cuale to the centrally located Hotel Rosita. There are plenty of comfortable benches shaded by palm trees, and you can borrow free bicycles and kayaks by the Hotel Rosita. Swirling and complex designs of pebbles on the sidewalk create an eye-catching sense of artistry. All along this promenade are perfect sandy beaches, sizzling nightclubs, and high-quality restaurants. 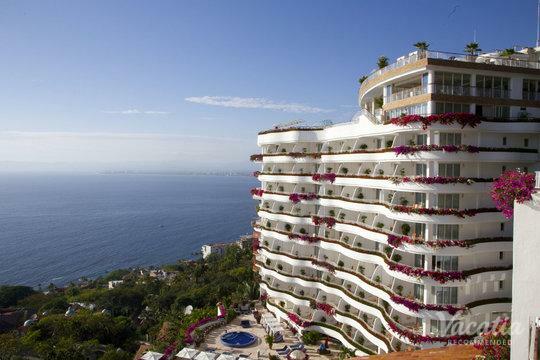 Meanwhile, the rest of Puerto Vallarta offers a charming downtown of cobblestone streets and whitewashed stonewalls. There are plenty of exciting activities as well, including boat trips, day trips, horseback riding, and snorkeling.